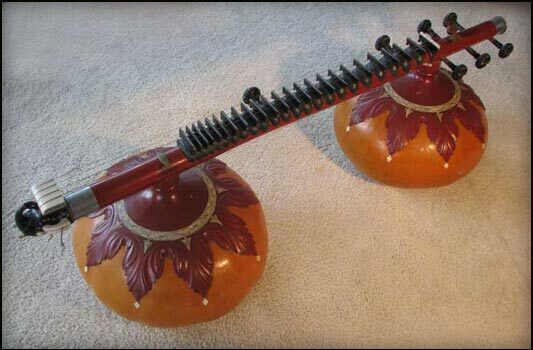 A stately and very old Rudra Veena. Its believed to have some connection with one of the members of his gharana, Possibly Usman Khan. More details later.